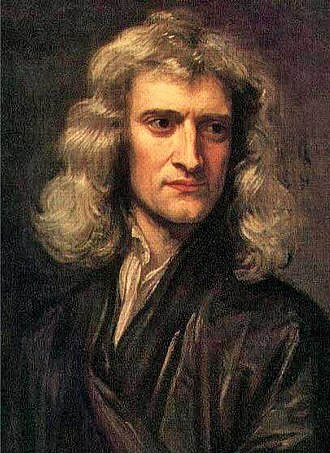 Sir Isaac Newton at 46 in Godfrey Kneller’s 1689 portrait. Sir Isaac Newton, the fellow who invented calculus, quantified the force of gravity and showed how it makes the solar system work, was heavy into alchemy—or “chymistry,” as it was being rebranded in his day. The practice of alchemy was outlawed over concern that gold production in the wrong hands would devalue the royal holdings. While camping on the north fork of the Big Wood River recently, I read Ancient Echoes by Joanne Pence, a local author my wife knows. The novel’s Idaho setting in wilderness not far from our camp caught my attention. The story centers on the search for an ancient alchemical text, and in passing mentions Newton’s study of alchemy. How the ancient text comes to be lost in Idaho’s Salmon River country is no more far-fetched, I guess, than angels burying in an upstate New York hillside gold plates bearing the secrets of eternal family life. Pence’s story line compelled me through all 324 pages although 250 probably would have sufficed. It could make a great adventure film of the Harrison Ford ilk, with lots of special effects and Dan Brown-type mystical/sci-fi twists. I have to thank Ms. Pence for introducing me to a side of Sir Isaac I had not considered. I wrote my honors thesis at Yale analyzing Newton’s Principia Mathematica & Milton’s “Paradise Lost” as epic works of theodicy, justifying the ways of God. The Principia is where Newton mathematically proves his theories of gravity, the motions of bodies and how the solar system works. I was aware of Newton’s as well as Milton’s prodigious biblical & theological knowledge. Newton wrote and studied more about Biblical scripture and Christian belief than about gravity, mathematics and his System of the World, much of the former, like his alchemical writing, unpublished during his lifetime. Looking at some of Newton’s alchemical notes is fascinating, really yanks me back to what it was like to be out there on the edge of 17th-century knowledge, as both Milton and Newton were. The King’s College Library, Cambridge, has a lot of Newton’s chymistry papers that economist John Maynard Keynes had collected, hundreds of which were auctioned in 1936. Indiana Univ. 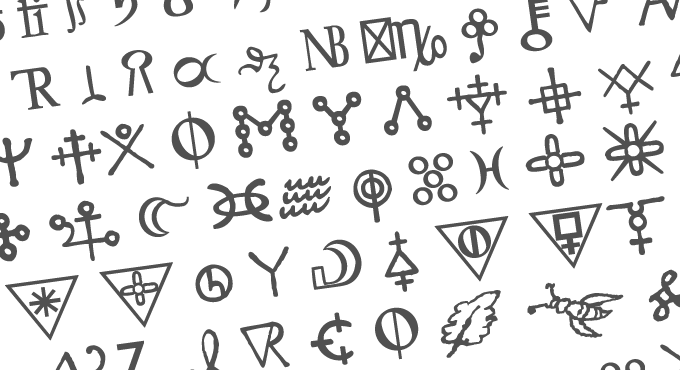 has a Chymistry of Newton project, even a Unicode font based on Newton’s alchemical symbols. I have a new image of young Isaac at his workbench mixing what would later be known as chemicals, to see what would happen with the various combinations—as I recall experimenting with my own AC Gilbert chemistry set, mixing chemicals in my attic room, careful not to set the house on fire. It wasn’t too long after that when I discovered Newton’s formulation of the law of gravity and how you can use mathematics to understand the way the universe works. I never quite figured out how to make gold—or the secret of eternal family life—but, then, neither did Sir Isaac.